Today’s Future Shop Deal of the Day has the Toshiba Satellite 15.6″ AMD Athlon X2 Dual Core P340 on sale for only $399.99. This is a savings of $150. – Preloaded with Toshiba’s Face Recognition software, which means that your face is your password – all you have to do to log on is smile. – Burn your own DVDs up to 8.5GB in size with the integrated Super Multi Dual Layer DVD drive. 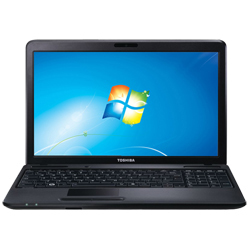 – Easily transfer media to and from this laptop with the integrated memory card slot. In addition to the 50% Off Select Styles post from yesterday, Banana Republic is now offering 25% Off Full-Priced Items from October 22-24, 2010. This sale is available Online and In-Store. If shopping online, print the coupon below and show it to the cashier. 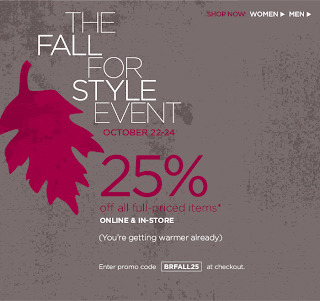 If shopping online, enter the promo code “BRFALL25” at checkout to get the discount. Banana Republic offers Free Shipping on orders of $50 or more. Click here to print out the in-store coupon. Click here to visit and shop Banana Republic online. 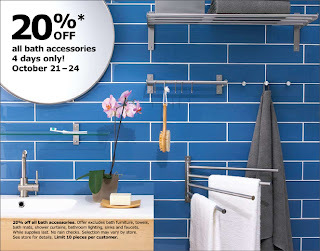 For 4 days only (October 21-24, 2010), get 20% Off all Bath accessories at IKEA. There is a limit of 10 pieces per customer and the sale excludes bath furniture, towels, bath mats, shower curtains, bathroom lighting, sinks and faucets. Click here to visit IKEA’s website and for more information about this deal. 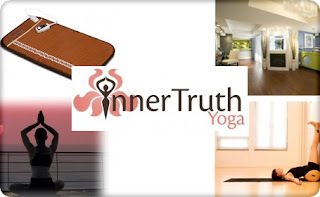 StealTheDeal: Restorative Spa Yoga at Inner Truth! This is a limited 1-day only sale that will expire tonight at midnight (Thursday, October 21, 2010). Click here to buy now or for more information about the deal. Includes negative-ion crystal biomat, hot-stone aromatherapy, warm neck wrap, eye pillows, soothing hands-on adjustments in a spa setting. Most people these days are wound pretty tightly. There are probably more ways to be stressed nowadays than there ever have been before. In olden days all you had to worry about was not getting killed by one of the many different and scary diseases or people milling about your front door. Now its trying not to be driven insane by the amount of e-mails you still have to get through before you go to sleep. And that’s why there is yoga. At Inner Truth Yoga we create a spa-inspired yoga experience to nurture your body back to its optimal health. In each amazing session we retrain your body to fully relax using ancient yoga techniques and alternative wellness therapies for healing relaxation. When your schedule is full, Inner Truth Yoga Sessions are Worth Every Moment. Your health, your happiness, and your productivity will thank you. Experience deeper: Energy, Relaxation, Digestion and Metabolism, Mental Clarity, Confidence, Libido, Joy, Weight-loss, and Balanced Health. You will leave our positive and nurturing atmosphere feeling open, revitalized, and empowered towards your joyful healthy life. Check out Banana Republic’s Fall sale where you can save up to 50% Off select styles. This is a limited time sale and is available online and in-store. As well, use the promo code “LOULOU15” to get an additional 15% off online orders from now until October 31, 2010. Get Free Shipping on all orders of $50 and above. Click here to visit Banana Republic’s website. Starting on October 22, 2010, get an extra 50% Off on all clearance clothing and accessories at Build-a-Bear Workshop stores. This is a in-store only sale. Click here to visit Build-a-Bear’s website. 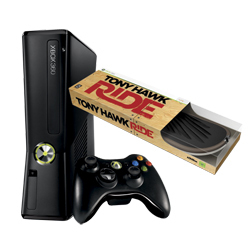 Today’s Future Shop Deal of the Day has the XBOX 360 4GB Console with Tony Hawk: Ride on sale for only $199.99. This is a savings of $79. – Tony Hawk’s RIDE lets you skateboard as one of the top boarders in this cool interactive game. – Xbox 360 provides crisp, clear gaming in Full HD 1080p. – Built in Wi-Fi enables you to connect to Xbox LIVE and instantly chat with friends, stream movies, TV and music, or download game add-ons. For a limited time only, take 30% Off everything at all Bluenotes stores (online and in-store). 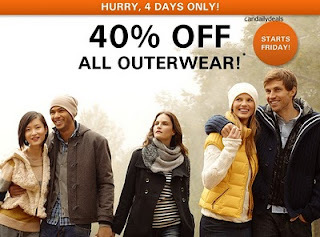 The sale starts today (October 21, 2010). If you’re a SPC Card holder, you’ll get an extra 10% Off! This sale is not valid on gift cards, signature cards, or previous purchases. Click here to visit Bluenotes’ website to shop online. They offer Free Shipping on orders over $75.